There are some places where it seems as though time is at a standstill—places where it is possible to live in contact with silence and to cultivate an appreciation for the things that really matter, like history, nature and art. At the hermitage, life takes on another rhythm, and the mysterious corners of the hermitage reveal themselves and—in doing so, make themselves into a neverending series of discoveries. This thirteenth-century hermitage, a former Augustinian convent, is located 500 meters above sea level, surrounded by a 4,800-hectare nature reserve near Volterra, a place where over 3,000 years of human history converge. 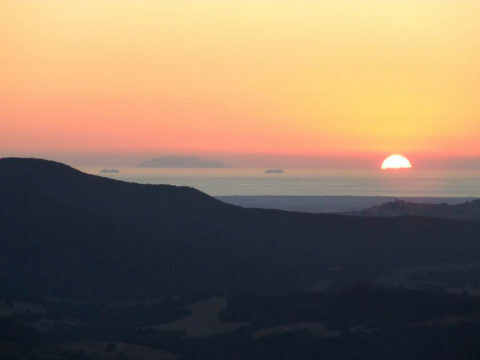 The Tyrrhenian Sea is clearly visible from here and is just a 45-minute drive by car. The owners have done an impressive job of keeping the historic value of the ancient place intact, restoring it to its former glory. The outer wall, which had once been designed as a defensive solution, today allow us to take refuge comfortably within the building. Inside, furniture and traffic flows follow the ancient principles of Feng Shui, an artistic form that teaches us to configure our living spaces in such a way that ensures absolute harmony between the various elements. With its almost 420 square meters of net surface, the Rogheta Hermitage is an ideal place for those who are looking to re-examine their relationships with their living spaces. The living area located on the ground floor has a lounge, a spacious dining room, a professional kitchen with pantry space, together with a 30-square meter bedroom with bathroom, which can also be divided into two doubles. On the upper floor, there are another four bedrooms, each with its own private bath, in addition to another bedroom located in the tower. Furthermore, the basement houses a vaulted cellar which can be used for wine tastings. 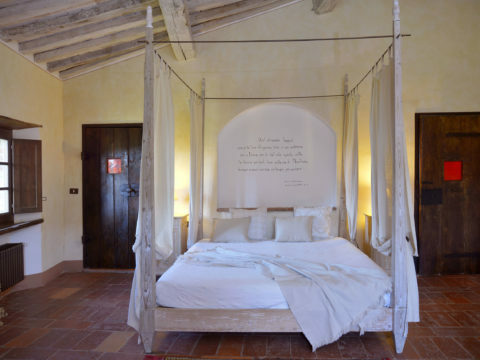 The entire property has been restored using only sustainable and biocompatible materials, with particular attention given to quality of life and health aspects. Therefore, today the entire Rogheta Hermitage has no harmful electromagnetic fields. The supply of electricity and hot water is provided via a micro-generator which is able to quietly provide for the needs of the entire building. This exceptional place can accommodate people and groups. The spaces available allow those who use them maximum peace of mind, and for those who wish to do so, these spaces can be optimized to promote the cultivation of precious moments of personal growth, whether it be through the organization of meditation, yoga or music courses. At the same time, the hermitage is also ideal as an exclusive and secluded private residence, a place of peace and reflection. Alternatively, the hermitage lends itself well to being a touristic destination/touristic residence, thanks to its many characteristics that enhance its being a unique and distinguished location, thereby one which can additionally be a most profitable one, as well. This exclusive Hermitage can be reached through a 5 km dirt road inside the beautiful Nature Reserve, that leads to Rogheta in 10-15 minutes. Located in the heart of the Monterufoli-Caselli reserve, Rogheta is undoubtedly one of the most fascinating places in this area. It is protected by wooded boundaries of nearly 5,000 hectares which, thanks to the abundance of both evergreen and deciduous trees, allows those who enter this area to have direct contact with nature and the various beauties that the territory has to offer. Nevertheless, Rogheta is not isolated from its surrounding areas, but rather it is the very center of a system of roads and paths perfectly suited to mountain biking, walking and riding. The medieval villages of the Etruscan Coast are scattered a short distance from the reserve. Bibbona, Bolghieri, Castagneto Carducci and Casale Marittimo deserve mention. Also, about 30 kilometers from Rogheta, is Volterra. A place of history and culture, Volterra is especially famous for its alabaster processing. In addition, Volterra still preserves—with great care—it’s enviable historic center, a destination for cultured and intellingent tourism. Volterra has indeed remained one of the surrounding area’s main economic and social hubs since the times of the Etruscans. 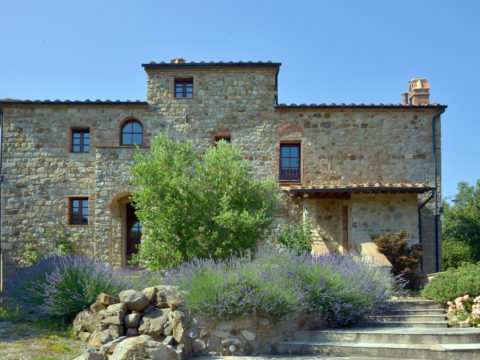 Rogheta, in addition to being suitable for those seeking peace and the prospect of a life away from the chaos of the city, enjoys a particularly privileged position for those visiting Tuscany. 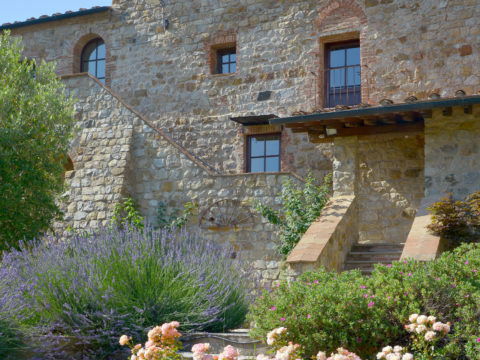 One need only to think of the adventures that await in the nearby villages of the Chianti area and San Gimignano—the town famous for its medieval towers, which can be reached in one hour by car. Venturing out even further, one has the opportunity to visit Siena, Pisa and Florence, all of which can be accessed by car within a period of about two hours. Indeed, these cities are famous throughout the world as being the virtual “cradle” of Italian culture and language, as well as being highly sought-after in regards to style and their appealing way of life.